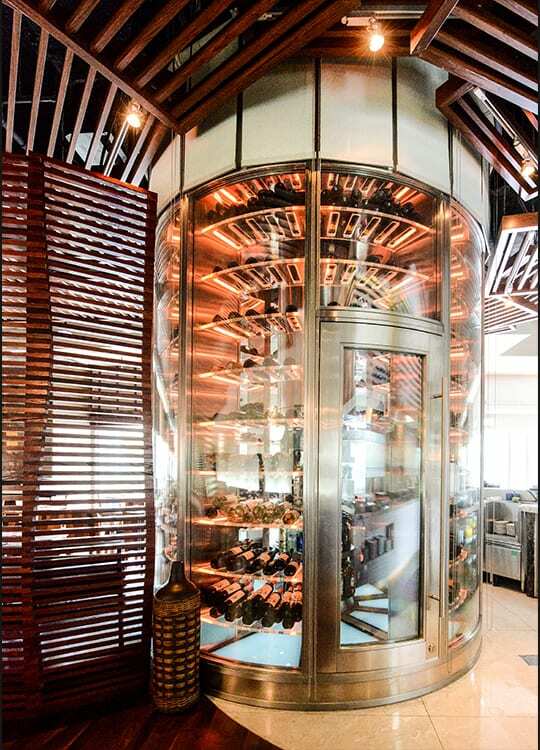 Located in the middle of the spacious Ballaró Restaurant of Dubai Conrad Hotel, FWC’s first wine tower is the true centrepiece of the restaurant. 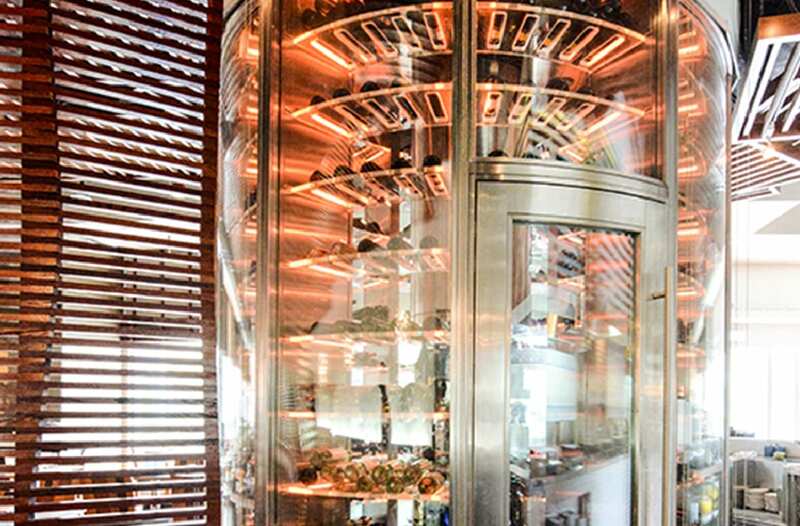 With its high ceiling and uninterrupted space, Ballaró is the perfect place to build such a sculptural wine cellar with its round form, transparent shell and radiating coloured lights. 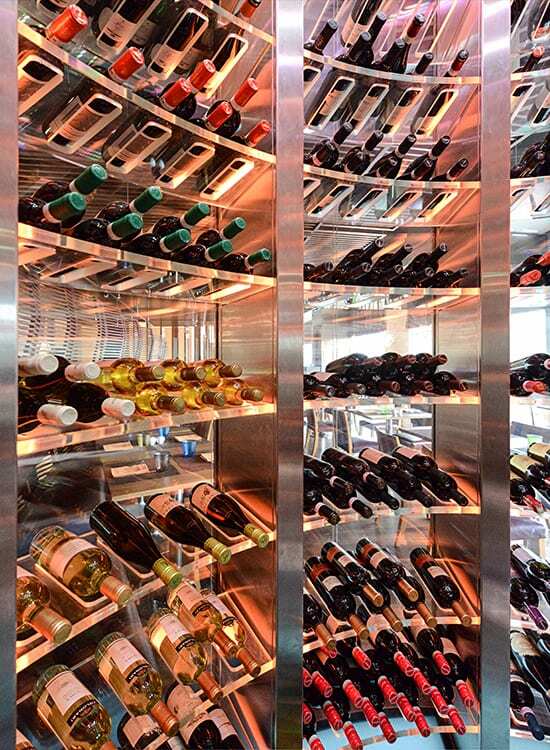 Bottles inside the cellar are stored horizontally along the circumference of the cellar, in CNC-cut cavities on back-lit glass shelves.